I know that there are one billion of these out there, but who knows- there might be a gem in here you didn't know about. 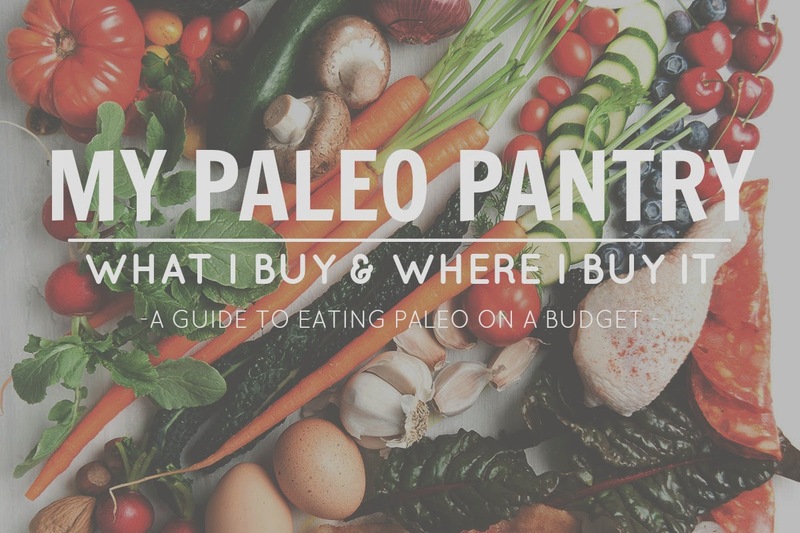 These are the things I buy so that eating paleo, and healthily in general, can be sustainable for my family and I. We eat healthy on a budget, and this is how we do it. We've made a commitment to eating healthy. We know what the benefits are, and we believe in them. We are not going back to the standard American diet. We do what we have to do to make this way of eating sustainable. Although my husband works, I work a very limited amount of hours from home (while also being a stay-at-home mom to a 3.5yo and 10wo). Needless to say, were on a budget. Eating healthy is important to us, so we make it a priority. Thats the first bit of advice I give to anyone who wonders how we do it. Make it a priority. Ever seen the statistics on how much our grandparents spent on food? Check this out. Our generation is definitely more concerned about the newest cell phones and cars than what they're fueling their (one and only) body with. Once you've made it a priority, the budgeting comes a lot easier. You start figuring what you can and cannot buy to be able to afford to eat healthy long term. You also learn which stores have the cheapest prices, how to read labels, and which fruits or vegetables you can buy un-organic. Here's a little list of items I buy that save us money. We both work for a health food store, where we buy about 60-70% of our groceries from- but buy these items at specific places to save money. Yes, we LOVE supporting our health food store.. and don't always feel proud about supporting big stores like Walmart. However, it's sometimes necessary when it comes down to whether or not you're able to feed your family the healthiest food. Before you start on this list, here are 4 tips to start with: 1. See what you can find local. If you can connect with a local farmer, this will save you a heap. Especially if you buy in bulk from them. Some of them will even sell whole, half, or part of an animal- so you can be stocked for a while. 2. 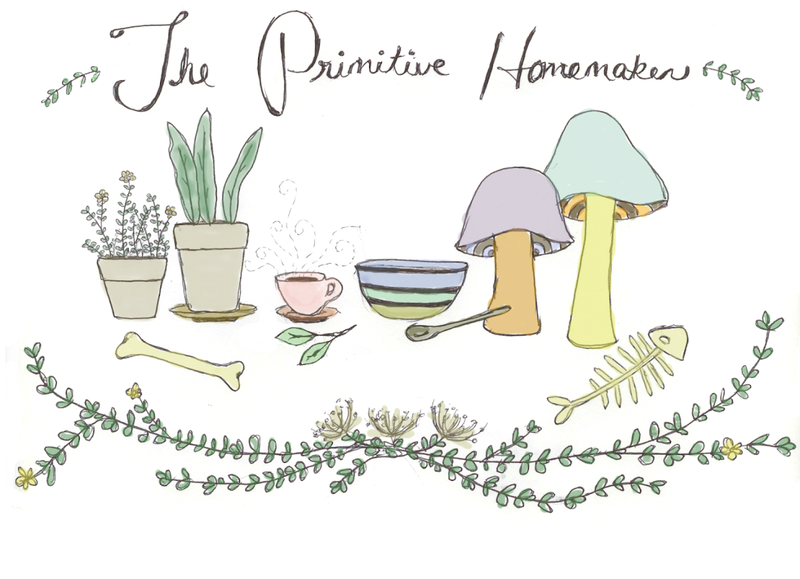 Sign up for CSA boxes - this will provide you with fresh, seasonal, natural produce on the cheap. Not to mention you're supporting local growers. 3. Check out local discount stores - I have found some super deals doing this. 4. Buy in bulk- You can save a lot at health food stores by buying in bulk. Please note that these items and prices may not be exact for everyone's location. We use quite a lot of produce, so I refer to the "Dirty Dozen & Clean Fifteen" list pretty regularly. The majority of the produce we buy is organic, but we cut corners when we can. Don't forget to check out your local farmers market. Not only will this save you money, you'll also be getting the most nutrient dense, antioxidant rich produce possible! 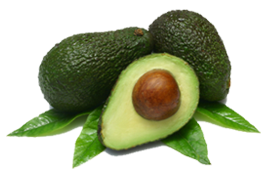 Avocados - Clean fifteen. They're usually only .49 at Aldis, and around .98 when in season at Walmart. Plantain- considered a low pesticide fruit. Baking with plantain in general saves us money. They cost about .60 a piece at Walmart, and even cheaper at specialty markets. Bananas - Local Aldis has organic bananas for .49. Asparagus - Our local Walmart currently has Organic asparagus for only .01 more expensive than conventional asparagus. Before that was available, we only bought conventional asparagus. It is in the top 15 "cleanest". Boxed Salad - Walmart has organic baby kale, baby spinach, spring mix, and arugala for less than $4. Kale - Walmart sells an ENORMOUS bag of organic rainbow kale for about $3.50. Already cut. Perfect for kale chips. Cauliflower - Walmart's organic cauliflower is about $1.50 cheaper than at health food stores. Frozen fruit - I buy a tropical blend of pineapple, mango, and papaya- all of which are on the "clean fifteen" list. We blend this to make a frozen dessert. Super cheap. Wild Caught Tuna - The package to the right is Northern Catch albacore tuna. 89 cents per package. Wild caught, sustainably caught, dolphin safe, no weird ingredients- just tuna, broth, salt. Our local Walmart also now carries Wild Selection tuna in a can for about $2.50. Salmon in the can from Amazon. Sardines - Bar Harbor wild-caught sardines from Walmart, 6oz. for less than $3. Northern Catch wild-caught sardines in spring water from Aldis, .99. Bacon - We very rarely buy bacon, since it ranges from $7-10 per pound. And when we do buy it, it vanishes pretty quickly! 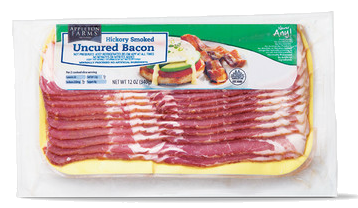 I found this Bacon at Aldis, and decided that I would not feel guilty for "indulging" in eating this "not-the-absolute-best" bacon every now and then. It's hormone and antibiotic free, vegetarian fed, no animal by-products, nitrite free, msg free, and only 5 simple, natural ingredients. $3.99. 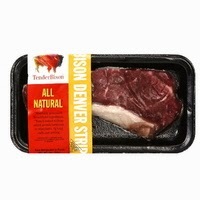 Bison- Walmart carries a brand called "Tender Bison". Hormone, antibiotic, additive free. They have steaks and ground bison. The ground bison is about $5 per pound, and the steaks range from $4-8 a piece. Beef- We save the most money on beef by buying local. 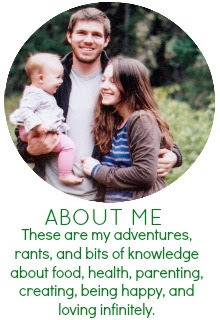 Local, grassfed, beyond organic ground beef costs us about $6 per pound. Check your local health food store, or see if there are any local farms that will allow you to buy directly from them- which will save you even more! Eggs - Again, buying local eggs from our health food store saves us big time. Name brand organic eggs cost about $2 more. Look for locals selling their free-range eggs; you can usually get a great deal on these. 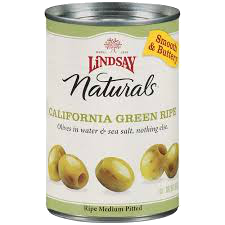 Olives - Lindsay Naturals olives (both green and black) can be found at Walmart for about $1.98. Just olives, water, salt. Coconut Oil - When this isn't on sale at the health food store (which it usually is), we buy it at Aldis. 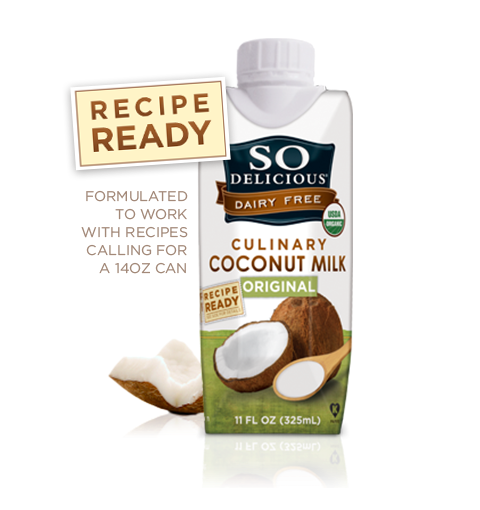 They have a 14 oz jar of cold pressed, extra virgin, organic coconut oil for just $4.99. Chips - (White potato, sweet potato) Very rarely do we buy snacks like these. Aldi has organic in both of these, with just 3 ingredients in both. The sweet potato chips have organic sweet potatoes, sunflower oil, salt. The white potato chips have organic white potatoes, oil, salt. Both are also non-gmo. $2.99. 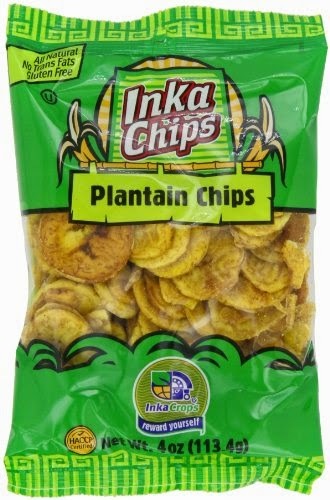 Plantain Chips - My only sin! I get these from my local Big Lots for .99! We use them for breading, and on-the-go snacks. Pickles / Sauerkraut / Ferments - Big Lots now has their own organic brand, and they have all three of these things for incredibly cheap. $2-4 a jar. Very clean ingredients. Maple Syrup - Big Lots brand has organic maple syrup for $4.50. Nuts - Organic almonds and Cashews by Nature's Harvest at Walmart; they're $4.98 for a 9 oz. clam shell. Alternative Flours - Walmart and Big Lots both carry organic (or non-gmo) almond flour, coconut flour, and shredded coconut. Atleast a few dollars in savings. from organic bulk shredded coconut. 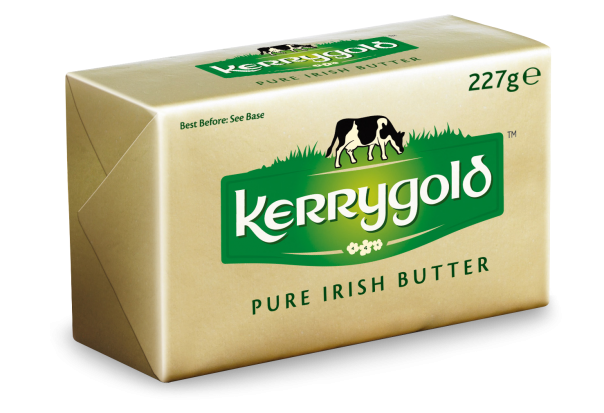 Butter - You can find Kerrygold grass fed butter at Walmart for $2.98. They also have Kerrygold cheese. Sometimes Aldis also has Kerrygold butter.